Images from our Silly Hat Photo Booth. Canadian Space Agency astronaut Jeremy Hansen is set to speak with Queen's engineering students in ILC Friday. Queen’s civil engineering professor Amir Fam was named Associate Dean (Research and Graduate Studies) earlier this ssummer. He’s got big shoes to fill but big aspirations with which to fill them. What are his plans? Second-year Queen's engineering students started out the term with a balloon car design challenge. They had to build a rolling craft from supplied parts to compete against other teams for greatest distance on a single balloon and best accuracy in stopping on a target. Chris Roney is a Queen's engineer, President of Roney Engineering here in Kingston and also President of Engineers Canada. He provided to some generous support this summer for Connections: The Queen's Summer Engineering Academy. He also had some really nice things to say about Queen's and the Connections program on a recent visit. Many thanks, Chris. VIDEO: Please welcome mining engineering professor Julián Ortiz as he joins the Robert M. Buchan Department of Mining at Queen's. Connections: Queen's Summer Engineering Academy is a summer education program designed for students considering applying to pursue a Queen's engineering undergraduate degree. Connections exposes students to many aspects of engineering education and give students a taste of student life at Queen's. Meet some of the students of the 2016 Queen's Innovation Connector Summer Initiative. The pitch competition is happening today at The Isabel. Meet Professor Nicolas Hudon, the newest addition to the Department of Chemical Engineering in the Faculty of Engineering and Applied Science at Queen's. Queen’s graduate student Hanna Dies is working simultaneously on a PhD in chemical engineering and an MD. She’s a Vanier Canada Graduate Scholar and she’s part of the team working on research that could save millions of lives. Martin Guay’s work in process-control engineering is being embraced by companies across industries. Queen's engineering graduate student Gemma Bullard guides us around the landslide flume, a unique piece of research equipment that can help engineers and researchers learn more about what happens when a landslide hits a shoreline. We've raised more than $90 million through the Inspiring Greatness Campaign for Queen's Engineering. It's all because of the support and generosity of donors. The FEAS Content Development Team is seeking applications for Work Study program students. It's a great job, on campus that works with your class schedule. Check it out, apply, tell your friends. Queen’s engineering student Emily Heffernan seems to do very well at whatever she puts her mind to; she even won two prestigious undergraduate scholarships this year. Still, that doesn’t mean it’s been an easy journey so far. She’s learning to live with a chronic disability and continuing to recover from major surgery. Whatever next? How about grad school? Queen’s engineer Pascal Kalbfleisch recently reached a $40,000 Kickstarter fundraising goal. It’s development money for his new product: a device that lets users enjoy high-quality, freshly brewed coffee while on the go. Imagine technology that uses tiny sensors – a single atom thick – to detect a single unique molecule out of a trillion. Imagine perfectly secure electronic communications systems that can handle data volumes many orders of magnitude larger than what is possible now. The implication for medical science, materials analysis, computing and all our daily lives are profound. The possibilities are being explored by Queen’s engineering physics professor Robert Knobel right here at the Kingston Nano-Fabrication Laboratory. How do engineers and researchers determine best practices for managing drinking water distribution systems? One way is through research conducted at a brand new research facility at the Coastal Engineering Lab at Queen's. The principal investigator on the Drinking-Water Discolouration Facility is engineering professor Yves Filion. In this video he guides us on a tour. 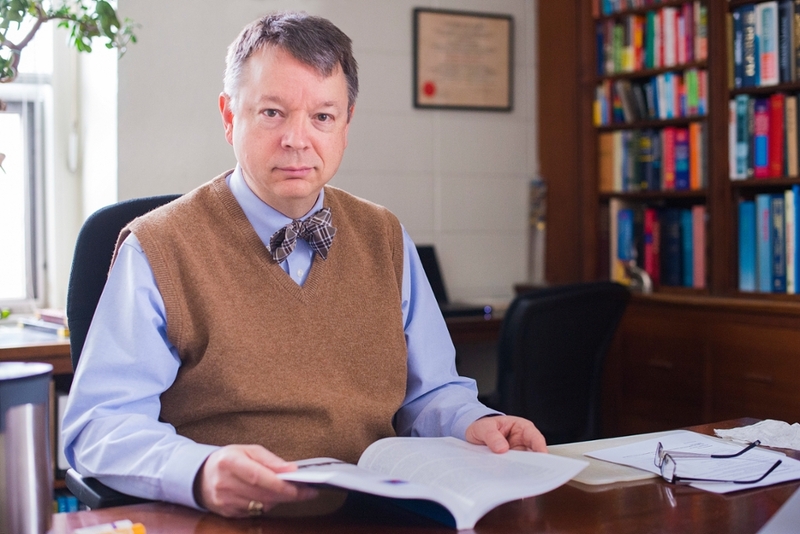 Queen's chemical engineering professor Andrew Daugulis has been named a fellow of the Canadian Academy of Engineering. Queen's engineering professor Claire Davies is exploring how 3D printers might best be used for making assistive devices for people with disabilities. The Summer Orientation to Academics and Resources (SOAR) is coming on July 15-16. It's a chance for all you incoming engineering students to get an early peek at your first year at Queen's and to ask some of those thousand questions you'll want answers to when you arrive in September. Registration is open. Dima Temnikov (BEng ’11) runs Engineering Insights, a website and regular podcast, often featuring interviews with other Queen’s engineers in various career stages and in various fields. It’s a great way to stay connected. A delegation of FEAS faculty, including ECE acting head professor Shahram Yousefi, returned earlier this month from a teaching mission to Jilin University in Changchun, China. The group made new connections and brought back new insight and a plan for an new ECE undergraduate exchange program. Queen's engineering professor Ryan Mulligan hosted the Young Coastal Scientists and Engineers Conference - Americas, 2016 at Queen's this week. An augmented reality billiards system, Procam Pool, developed by Queen's engineers crosses the threshold between prototype and consumer product. The team did really well at the University Rover Challenge in Utah earlier this month. They earned 6th spot overall amid an international field of 63 teams. They won top spot among Canadian teams and came in second among North American competitors. Next, if all goes well, is the European Rover Challenge in Poland in September. QRET is putting the final touches on their rocket design before heading to the Intercollegiate Rocket Engineering Competition (IREC) in Utah. Queen’s chemical engineering graduate student Peter Gilbert has received a Vanier Canada Graduate Scholarship. Gilbert, who studies rheology, joins colleague Hannah Dies as the second Vanier recipient in the department in as many years. QMAST is hosting the International Robotic Sailing Regatta, June 4-11, at the Kingston Yacht Club. Hundreds gathered at Grant Hall, Jun 1, for Faculty of Education and Applied Science Spring Convocation. On the unanimous recommendation of the Advisory Committee, chaired by Dean Kimberly Woodhouse, Alan Harrison, Provost and Vice Principal Academic is pleased to announce the appointment of Dr. Brian Frank as the inaugural Associate Dean (Teaching and Learning) in the Faculty of Engineering and Applied Science for a three year term effective July 1, 2016. Thanks to a year of hard work, the Queen’s Fuel Cell Team managed to claim victory at this year’s Shell Eco-marathon. Even in the face of unforeseen technical difficulties the team was able to utilize teamwork and skilled troubleshooting to pull off of a win. Queen's Chemical Engineering Professor Brian Amsden awarded the Donald and Joan McGeachy Chair in Biomedical Engineering. Catch up with the Queen’s Space Engineering Team! They’re heading off to compete at the University Rover Challenge Utah in June and hopefully to the European Rover Challenge in Poland in September. We’ll be checking in with them again a time or two throughout the summer. Queen's civil engineering professor Amir Fam assumes the duties of Associate Dean, Research and Graduate Studies as Vice Dean Brian Surgenor steps down after eight years in the post. Aboriginal Access to Engineering has earned an NSERC grant to expand their community work. The funding will go to hire a new Aboriginal Community Engagement (ACE) Coordinator. Michele Romanow founded the ILC’s Tea Room when she was an undergraduate at Queen’s in the early aughts. A decade later, she is becoming a national figure in business and media. What was her path from barista to mogul? A new art piece for the foyer of Beamish-Munro Hall is about to move off the drawing board and into the studio. A group of Queen’s engineering students collaborated with prominent Toronto artist Kwest on the design but we’ll have to wait until fall to see what they came up with. Representatives from Ontario Power Generation, industry professionals and engineering researchers gathered at Queen's on April 20 to test proposed improvements to the Ranney Falls Generation Station at Campbellford, Ontario. Education researchers say the success numbers for the flipped classroom approach to teaching are astounding. Now Queen’s engineering professor Michael Rainbow has adapted it to the delivery of his undergraduate kinematics course. It’s a great example of Queen’s instructors working on the leading edge of the science and art of teaching. MINE471 students spent part of the winter designing and building a proof-of-concept mining excavator aimed at improving safety, efficiency and reliability. When Apple Math student Siobhan Powell arrived at Queen’s she hoped to head directly into industry after graduation. She tested a few different paths before concluding that graduate studies with an emphasis on renewable energy was the right course for her. Queen’s ECE professor Alireza Bakhshai immigrated from Iran in 2004. He has since worked hard to bring Iranian expatriates and their friends together in the Queen’s community for the celebration of Persian culture. You can taste the flavours at the upcoming potluck celebration of Iranian New Year, April 4. Learn from a Dragon! Michele Romanow, Sc’07, MBA’08, is receiving the One-To-Watch Award on April 2nd and she will be offering an exclusive lecture to the Queen’s and Kingston community.Find out how you can attend. A group of fourth-year Queen's engineering students have developed a proof-of-concept prototype for a car that can see and skip over bumps in the roadway ahead. A group of Queen's engineers is about to launch and new product that revolutionize the way we eat meat. Queen’s engineering professors Laura Wells and Michael Rainbow are among six Queen’s researchers awarded substantial funding from the Canada Foundation for Innovation Fund. Queen's ECE students Mackenzie Wooten, Ben Lande and Jake McEwan built a Li-Ion battery-pack management system for their Capstone design project and installed it on the Queen’s Fuel Cell Team golf cart. ELEC 390 students voted it best project in the ELEC 490 design competition. Congrats guys! Nice work! A group of fourth-year Queen’s engineering students has developed a software and hardware suite that could help hospital emergency departments more quickly and efficiently match patients to doctors. It’s an idea that could reduce and gather data on wait times for treatment. Cash prizes and inestimable prestige are up for grabs in this year's student paper competition. Entry deadline is March 15 and finalist presentations and awards are March 22. Researchers say some 60 percent of the human brain is involved with sight. It’s no surprise then that machine vision proves one of the most difficult challenges for roboticists. How do you enable a machine to see, understand and make decisions about its environment? Here’s how Queen’s engineering students are preparing to tackle that problem. First-year studies will soon be drawing to a close for the inaugural cohort of ECEi students. The program is designed to infuse engineering skills with foundational concepts in entrepreneurship and innovation. We checked in with students and instructors during the ECEi Discipline Night, Feb 1. FEAS staffer Jake Kaupp and colleague Natalie Simper are honoured this week by Queen’s for their work on BASICS, a web application to help instructors become even better teachers. Are you considering chemical engineering at Queen's? Watch and listen as students and faculty describe the program. A new test facility at the Coastal Engineering Laboratory at Queen's will help researchers understand more about how biofilm forms on the walls of water distribution pipes. It's work that may save municipalities millions in maintenance costs.